Signing up for a new service is exciting. You are interested enough that you think the service will help you. It has every feature that you missed so dearly in your current tools. You tell your colleagues how great working with this service will be. You try it, you test it and it looks great. But suddenly you get stuck. You could try to work it out or even send a request to support, but whatever, you got other stuff to do. So you drop off. For every company, especially for a startup, this is unacceptable. You need to step in to help people at exactly that moment. You need to have a system and a workflow in place to deal with this. Catching people when they need help and guide them how to get started with your product is an obvious, but tough way to create loyal customers. You need to understand their behavior, define metrics that tell you when somebody has a problem and have a workflow to support them proactively. We’ve been using Intercom for a long time now and it has helped us in making our users happy. The key to know when your users have problems is tracking meaningful metrics. We’ve spent a lot of time to evaluate what the right combination of metrics is for us. But in the end it came down to the number of times a customer pushes code that fails their tests – so for us the metric to look at for us is a failed build. We found that using broader metrics has two advantages. Firstly, you find everyone who has a problem. Secondly, everybody who shows up in your list but is a false positive knows you care about them. Getting that ratio between people who need support and false positives right is critical. Evaluating your metrics to not get overloaded with false positives should be done regularly. We receive lots of responses from people who tell us that our service works fine, but they are rebuilding parts of their infrastructure. Thus their tests fail. They often mention that they appreciate our interest and thank us for our proactive support. 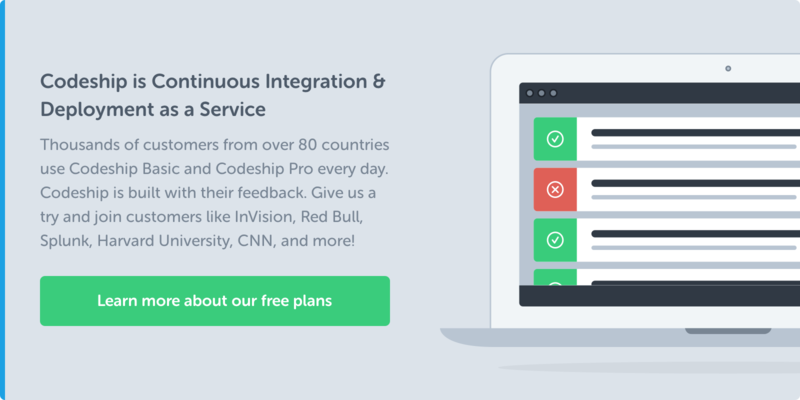 We push metrics to Intercom for many different actions our users take. By executing the push in background workers we can track a lot of different actions without impacting our customer experience. Tracking other metrics now is easy. It took a while to implement, but has become one of the core tools to measure the success of our company. We use these metrics to define various segments. Currently we have 31 segments defined in Intercom. They range from new users who need proactive support to customers and early adopters for new releases. We use a couple of them for our daily work and the rest to get a quick overview. Whenever we send Intercom new data the segments get updated automatically. One of the most important features of segments is that everyone in our team can create them. If we want to dive deep and combine aggregated user data we can do so without any additional implementation or programming knowledge. Additionally we can use those segments to send out emails to specific customers. You only get a first impression once. It is possible to win people back, but why not contact them as soon as they need help? We have a daily task to go over our proactive support segment and contact every new user the segment tells us might have a problem. Do you need help to get your tests to pass? It seems I am getting some progress… I will let you know if I need some help, thank you! I’m just making some tests on my free time. Thanks for your email though. I think we’ve about got it figured out. I am sort of working on it in bits and pieces. Thanks for the offer. We’ve tried various tools and workflows to make sure everyone who steps foot onto the Codeship gets the support he/she needs. Thanks to Intercom we can measure and contact all of our users. Exactly when they need to be contacted. 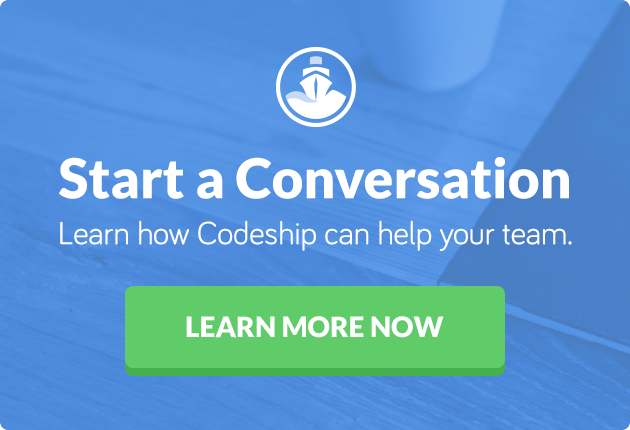 Next week we will conclude our Codeship Workflow Series and talk about our support workflow and how we make sure that everyone on the team is aware of the problems users have. When everyone in the company knows the problems users are having everybody can focus on removing these problems. Let us know about your strategies to help your users and turn them from happy users into happy customers in the comments. Ship long and prosper. Click here to read part 7 of our Workflow Series.